Michael Breiner, lighting designer and teacher. 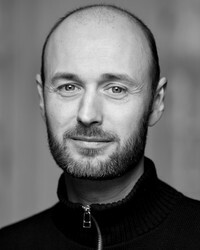 In 2000 Michael Breiner startede at theater Kaleidoskop in Copenhagensom as autodidact lightdesigner. Michael has been working freelance both domestic and abroad. In 2004 Michael started teaching at The Danish National School of Performing Arts. And is a member of the study board at the school. 2013 -- 2017 Bord member at the Danish setdesigner union. 2004 -- 2018 Teacher at The Danish National School of Performing Arts. 2000 – 2018 Freelance lighdesigner. 1998 -- 2004 Freelance Light technician Copenhagen. 1997 – 1998 Pratical light work at Doktor Dantes Aveny Copenhagen.